He was "The Man Of A Thousand Voices". Mel Blanc, who would've turned 106 years old yesterday, manipulated the pipes behind the most popular cartoon characters ever made - Bugs Bunny, Daffy Duck, Porky Pig, Tweety, Barney Rubble, Mr. Spacely. That was only 6 of them. Can you name the other 994? Let's face it. You can't have 1,000 voices and expect all of them to be A-list. I'm assuming there are a few of these voices you may not have known about. Last year, I reminded you of his contributions to Woody Woodpecker. That probably falls into the 300-400 range. But what about the 900's and above? What are the jobs that Mel Blanc took, that even he himself would've considered "dethpicable"? Today, I am not-so-proud to present 996-1,000. The rather obvious cheque cash-ins. The Top 5 Least Important Mel Blanc Voices Ever Heard. Mel provided the voice for the title character from George Gately's comic strip, in this series which ran between 1984 and 1988. 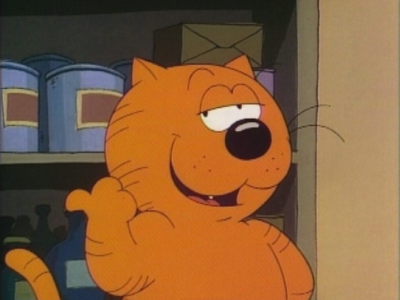 (later titled Heathcliff and The Catillac Cats) It's not a particularly bad purr-formance, but it's certainly not his most original. Much of the time he sounds like Bugs Bunny, except when he's literally saying the word 'meow'. 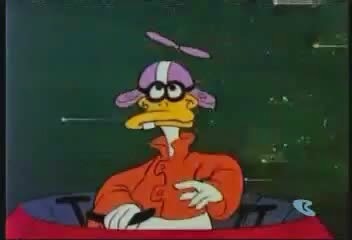 This character was 1 of 4 featured in a terrible cartoon called Galaxy Goof-Ups, which was hastily created in 1978-79 to cash in on the space craze set forth by Star Wars. Classic Hanna Barbera mainstays Yogi Bear and Huckleberry Hound were jettisoned into space against their will to join nobody newbies Scare Bear and Quack Up, voiced by Mel Blanc. Quack Up sounds like a sped-up Daffy Duck, with more of a "lishp" than a "lithp", if that make sense. It's truly embarashing (sic) to say the leasht (sic). I would cry out in protest, but in space, no one can hear you scream. This isn't the first time Blanc made car noises. He would do the occasional sputtering sounds in Warner Bros. cartoons. But in 1973's Speed Buggy, he received title billing for it! Only 16 episodes of the show were produced, and all of them aired on all 3 of the major networks - first on CBS, then ABC and later NBC. I would think the lack of laugh track would've definitely upped the appeal, which was rare for a Hanna Barbera series at the time. 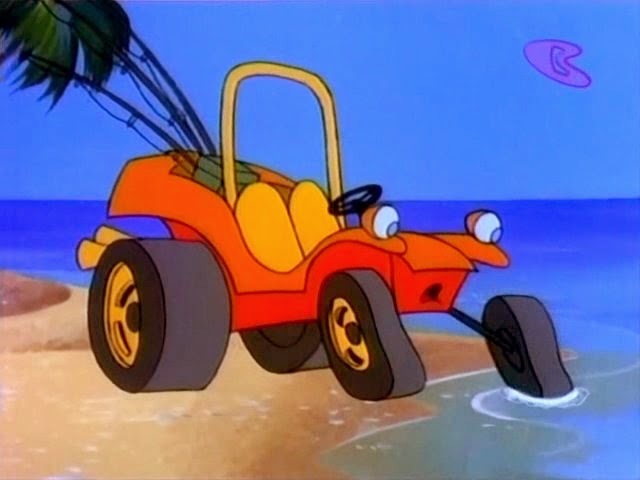 Blanc also performed the sputtering of Chugga-Boom, the old gangster car driven by The Ant Hill Mob in The Perils of Penelope Pitstop. (1969-71) You can also hear him as a giggly Mob member named Yak Yak, below at the 5:55 mark. This sports-themed Flintstones-like Hanna Barbera cartoon called Where's Huddles? 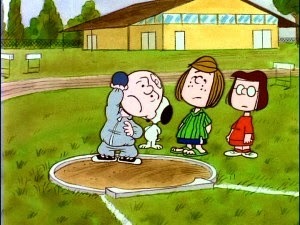 aired in prime time during the summer of 1970. Not only was it similar to The Flintstones in time-slot, but it also featured similar plot-lines, characters and voices. Jean Vander Pyl, who portrayed Wilma Flintstone, starred here as Ed Huddles' wife, Marge. 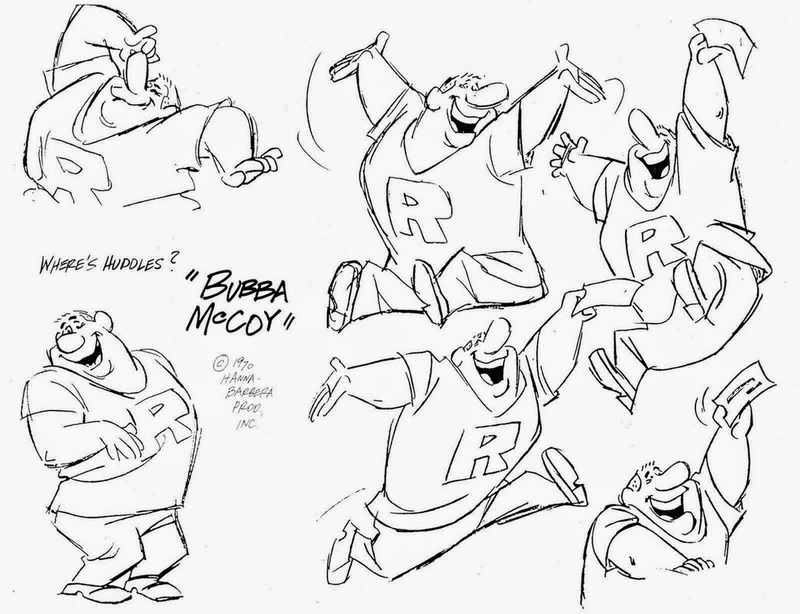 Mel Blanc once again voiced the neighbour, Bubba McCoy, who sounded virtually identical to Barney Rubble. 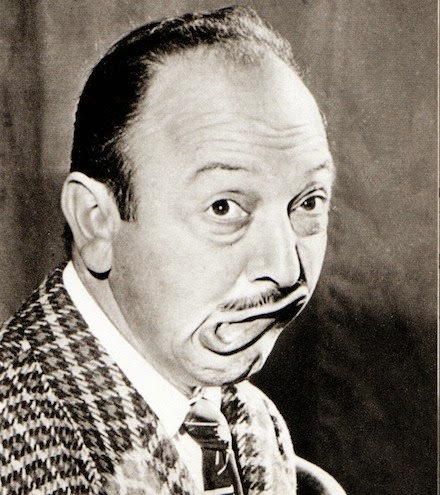 Not sure if this is true or not, but apparently Mel Blanc performed Charlie Brown's grunting(!) in this Olympic-themed TV special from 1979. You can judge for yourself when you hear it below at the 3:00 mark as Chuck takes to the weight bench. Do you even grunt, bro? I'm not sure about you, but this list has left me feeling very depressed. Mel Blanc was much better than this. So let's leave on a rare, but high note. Here's a funny Pink Panther cartoon from 1965 called 'Pickled Pink', where Mel not only performs the voice of Drunk, but also Drunk's Wife. It's a crude performance, but definitely funny - and not something you'd be prone to hearing in the usually silent Pink Panther series. There! That wash (sic) a niesh (hic) change of paesh, washn't (sic) it? That'sh (sic) All Folksh (sic)!